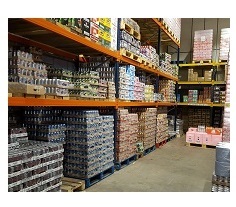 We deliver mainly in London areas - central ONLY..
We also welcome worldwide export enquiries for all UK brands of drinks.. Step 3: you can pay at delivery . your order delivered next day within central London areas, UK. .
We sell in cases only and single bottles in spirits and champagnes. Special delivery arrangements for orders for weddings & parties possible. special prices given to shops, bars and restaurants & forecourts who are looking deliveries on regular basis within London areas. prices inclusive of next day free delivery within central London areas (min 15 cases). VAT is charged on all orders - except exports orders. minimum 15 cases or more order required per delivery within central London areas. © Copyright 2005-2016 Drink-wholesale Online.